Close to the Southwest’s famous national parks, the Abbey Inn offers some of St. George's most spacious and comfortable accommodations, with a large outdoor pool for desert refreshment. A TripAdvisor Certificate of Excellence winner, the Abbey Inn offers some of St. George's most comfortable accommodations. 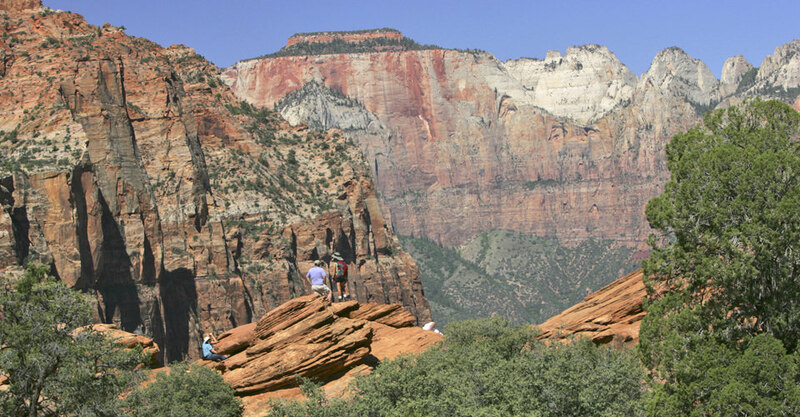 Proximate to the Southwest's national parks, it is ideally located to begin or end a trip to canyon country. The hotel's 154 spacious guest rooms are appointed with elegant touches such as heavy wooden or fabric headboards and luxury bedding. Rooms have either one king or two queen beds. Amenities include 42-inch flat screen TVs with free HBO, free Wi-Fi, refrigerator, microwave, coffee maker and hair dryer. A large outdoor swimming pool and indoor whirlpool spa offer refreshment and relaxation. A full hot breakfast is included with your stay. This venerable 1920s lodge stands alone inside the national park, offering rustic cbins, contemporary hotel rooms and unrivaled access to breathtaking views, trails and the Bryce Amphiheater. Completely renovated to its original 1920s atmosphere, Bryce Canyon Lodge offers the only accommodations inside the national park. The venerable lodge, which enjoys a place on the National Historic Register, offers unrivaled access to breathtaking views, hiking trails and soul-stirring wilderness. The lodge is just steps from the Bryce Amphitheater—the "fairy forest" of ancient rock formations that comprises the heart of the park. Opened in 1925, the lodge is one of our national parks' architectural treasures. It was designed by Gilbert Stanley Underwood, who defined the similar rustic style of beloved sites such as Old Faithful Lodge at Yellowstone, the Ahwanee at Yosemite, and Jackson Lake Lodge in Grand Teton National Park. Bryce Canyon Lodge remains a completely original structure. It has been carefully maintained with an eye toward modern comforts while preserving the look and feel of one of the first western park lodges in the United States. The lodge offers differing accommodation types which are assigned by group. Most of its 114 rooms are situated between the main lodge and the amphitheater rim in a fragrant stand of old-growth Ponderosa pine. Historic Old West-style cabins provide a rustic experience with the comforts of home. More contemporary hotel rooms are available in two-story lodges located on Sunrise or Sunset Point. Offering all the services of a national park hotel, you'll find a full-service restaurant, pizza cafe with espresso and baked goods served in the morning, a gift shop showcasing fine Native American jewelry and art, and a general store. As one of only three International Dark Skies Parks in the United States, Bryce Canyon is an unparalleled place to stargaze. 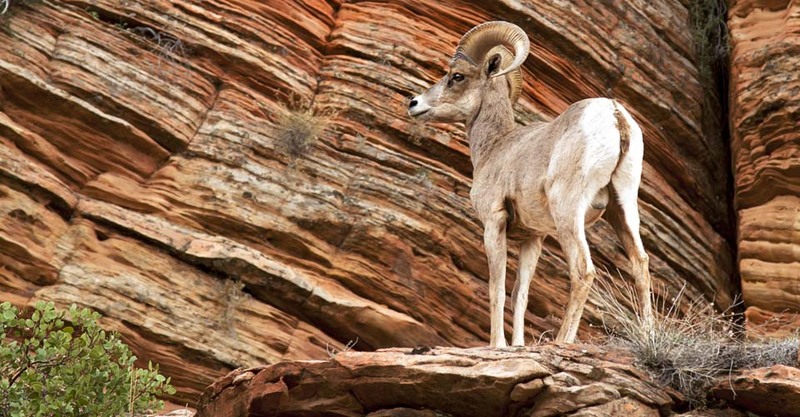 The lodge is a strong partner with the National Park Service in this effort, and as a result, there is virtually no ambient light from traffic, signs or housing. Visitors are often astonished to see the Milky Way on prominent display overhead. 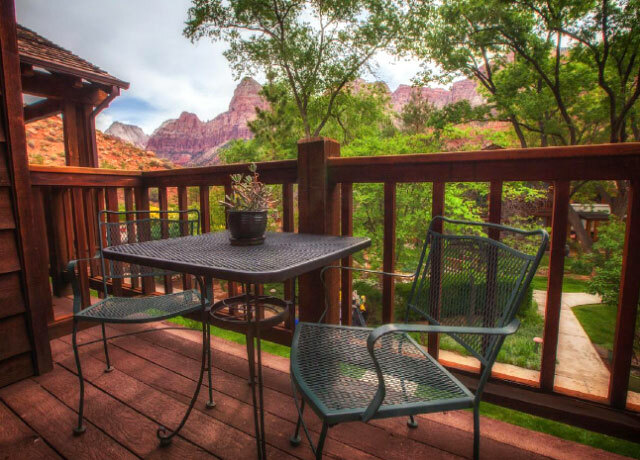 Minutes from Zion's south entrance, a peaceful respite steeped in vintage atmosphere includes high-ceiling guest rooms, heavy wood beams, local art, knotty pine touches and private patios. 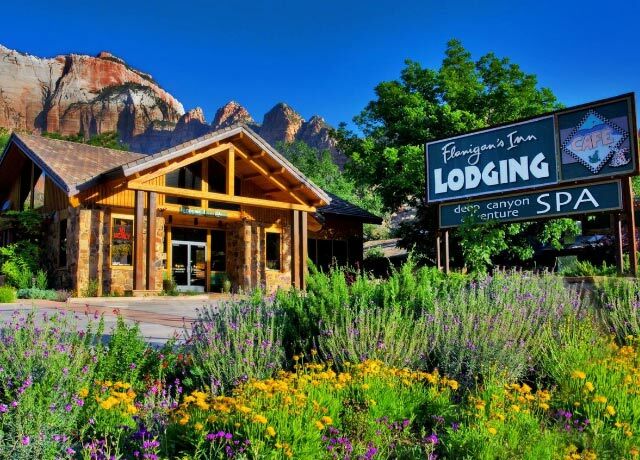 Delightful Flanigan’s Inn, located just minutes from the south entrance to Zion National Park, offers a peaceful respite steeped in vintage atmosphere. The lodge combines rustic park-style ambience with contemporary design flair and is set among trees and gardens backdropped by colorful sandstone ridges and peaks. Spacious, high-ceilinged guest rooms, each individually decorated, may feature heavy wood beams, local art, knotty pine touches and/or private patios. After a day of hiking in the park, recline by the pool and drink in the epic views, walk thelabyrinthion labyrinth, indulge in a treatment at the Deep Canyon Spa, or stroll into the adjacent small town of Springdale. 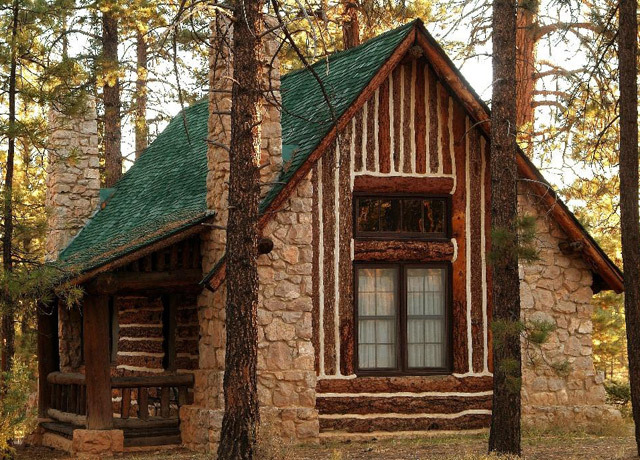 The North Rim’s only in-park lodging, this historic 1928 lodge on Bright Angel Point was built to harmonize with nature using native Kaibab limestone and ponderosa pine timbers. The only lodging inside the park on the more remote North Rim, historic Grand Canyon Lodge on Bright Angel Point was completed in 1928. 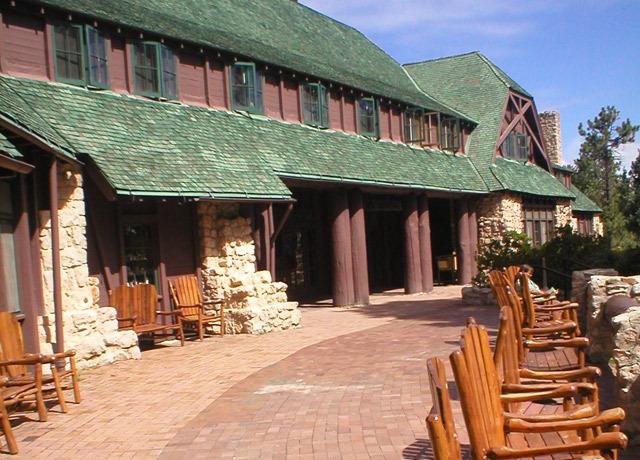 Constructed of native Kaibab limestone and ponderosa pine timber, the complex was designed to harmonize with its rocky and forested setting, with the appearance of a natural rock outcropping. 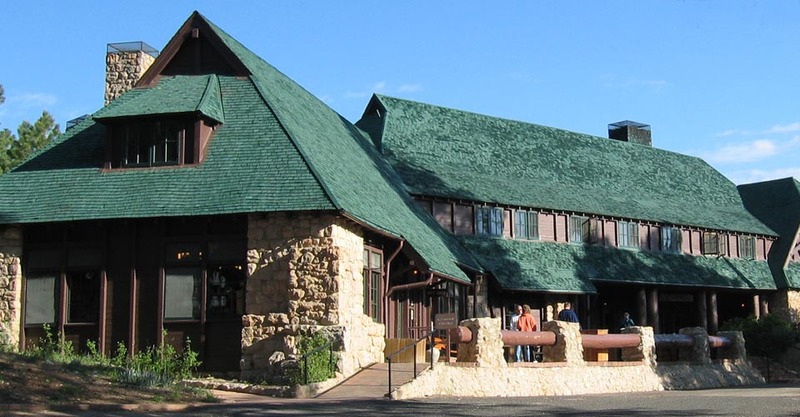 The lodge was designed by Gilbert Stanley Underwood, an employee of the Union Pacific Railroad who also designed destination hotels at Zion, Bryce Canyon and Yosemite. 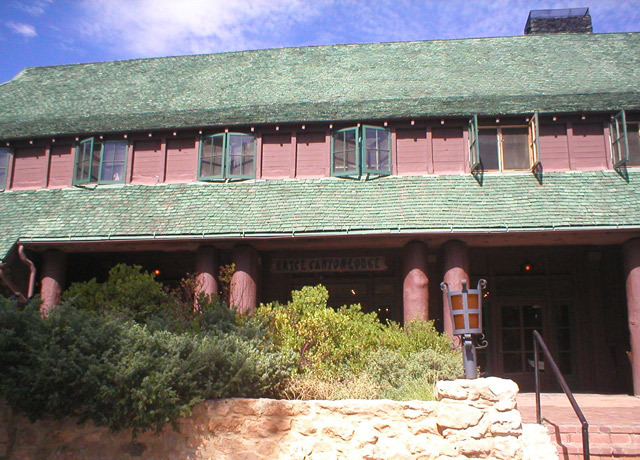 In addition to its classic rustic architecture, Grand Canyon Lodge is noted for its status as the only complete surviving lodge and cabin complex in the national parks. 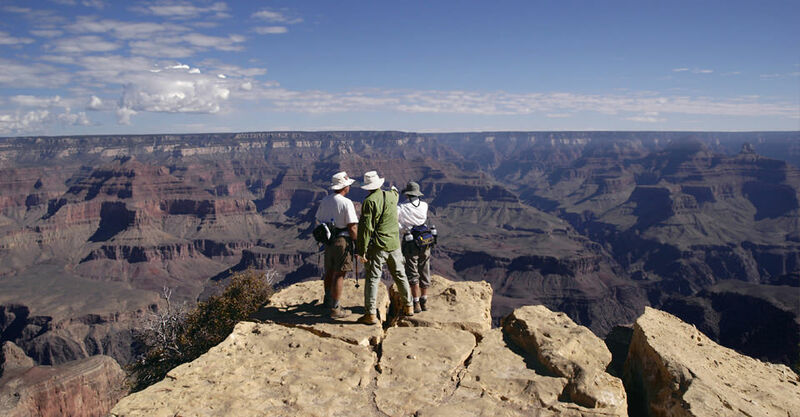 Perched atop the canyon rim, this National Historic Landmark offers guests seclusion, peace and comfort amid one of the world's most stunning backdrops. A variety of accommodation types including detached cabins are based on availability and assigned on arrival. Meals in the lodge dining room overlooking the canyon are a memorable moment in any stay.